HN 21 | Pigs Pack a Punch! Rosette and one of her GIANT bunches of bananas! Rosette can't believe how much money she makes now. Just a short while ago, she was struggling to provide for her six children and aging husband. Her main source of income is from banana sales, but the modest plantation she’s been farming for years wasn’t producing enough for her family to live on. Rosette regularly harvested banana bunches weighing about 10kgs which sell in the local market for around 1,000 RWFs ($1.58 CAD). This meagre income just isn’t enough to feed six children, send them to school, pay their medical bills - the list goes on. But last year, someone gave Rosette a Gift Guide pig. She was thrilled! Rosette paid close attention to all the training that came with this new investment—how to feed, house, and care for her pig so it would stay healthy and strong. She also learned how to incorporate the pig poo into compost to produce rich, organic fertilizer. 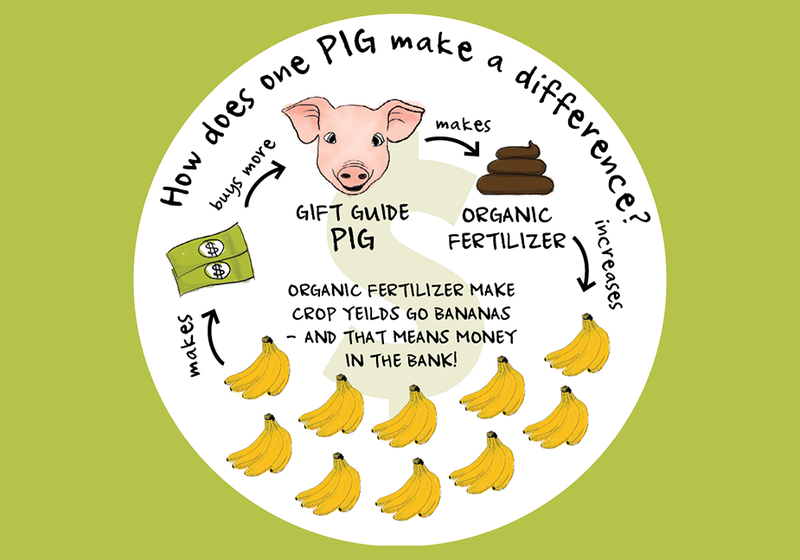 Rosette began to apply the pig-powered fertilizer to her banana plantation, and it didn’t take long for the soil to respond. 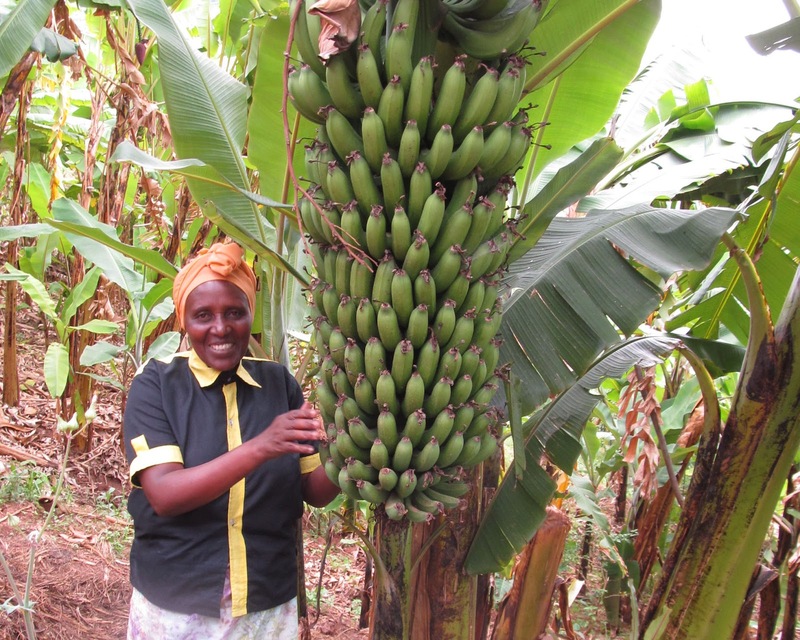 Soon, her plants were producing banana bunches regularly weighing 90kgs! Rosette can sell that size bunch for 10,000 RWFs ($15.79 CAD). That is a thousand percent increase in her income! With this money, Rosette is solving her family’s problems. She can now afford to pay the fees for her two oldest children to attend secondary school. She can also pay the annual medical insurance for the entire family (that’s eight people!). Most importantly, her family can finally get enough to eat. And it's all thanks to one stinky Gift Guide pig. Food for the Hungry: HN 21 | Pigs Pack a Punch!